A man who claims to have killed 90 women across the country has drawn sketches of women, he says he has been murdered. Samuel Little, who sits in a West Texas wild west, has begun to confess those killed between 1970 and 2005. The Texas Rangers and the FBI have begun to gather their killings announcements – from Florida to California – with evidence from The cold cases over the four decades. 1; for a possible connection to a murder in the quiet rural Texas county. While Little was in the Wise County Prison, detectives from across the country were looking for pieces for their puzzle games to interrogate the killer about their respective cases. WIse County Chief Deputy Craig Johnson said it was a little overwhelming and he didn't & # 39; I understand that Little could be one of the most dangerous men in American history. "It's a scary number . It's more than the BTK killer and the Green River killer," Johnson says. "It was a steady stream of investigators. We kept him in a cell of his own." Wise County eventually found the killer unrelated to their case, and Little was taken west to Ector County to stay in a prison in Odessa, confronted with a murder charge of Denise Christie Brothers in 1994. Little confessed in the end this murder and struck her in a field and left her there. The brothers were found one month after she disappeared. During his time in Ector County Prison, Little has begun to draw portraits of women, saying he killed in his lifetime. He made a plea with lawyers that he would give details of his other victims if they would let him live his days in Ector County Prison instead of going to jail. Lille, now 78, is bound by a wheelchair. 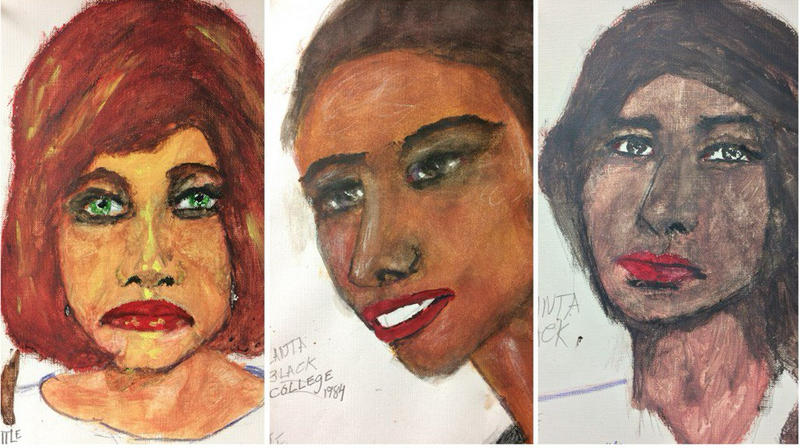 The drawings of Little's alleged victims have varying skin tones, hair flow, emotions and colors. The FBI released 16 of Little's drawings to the public this week hoping to use some of them to solve potential cold cases in both this millennium and the last. Little is named Samuel McDowell and two of the potential cases in Texas occurred in the Houston area in the 1970s and 80s.